"She's a hard worker. As good as any man." Music Box Films has released the official US trailer for the US release of Xavier Beauvois' new French film The Guardians, which premiered at the Toronto Film Festival last year. This indie drama is set during World War I, otherwise known as "The Great War" at the time, and it's about the few local women who are left behind to work on a family farm. Everything gets disrupted when the sons return on leave, and "Francine becomes the center of a familial disturbance." Oh boy. Romance always messing things up. The cast is lead by Nathalie Baye and Iris Bry, and also includes Laura Smet, Cyril Descours, Gilbert Bonneau, Olivier Rabourdin, Nicolas Giraud, Mathilde Viseux-Ely, and Xavier Maly. This looks like a very moving, meaningful film about the power of "love, loss, and resilience." An affecting human drama of love, loss, and resilience from filmmaker Xavier Beauvois unfolds against the backdrop of World War I. The women of the Paridier farm, under the deft hand of Hortense, the family's matriarch (Nathalie Baye), must grapple with the workload while the men are off at the front. Initially, the mysterious Francine’s (Iris Bry) arrival is welcomed for her diligence and tirelessness. Soon enough, emotions run high when the sons return on leave, and Francine becomes the center of a familial disturbance. 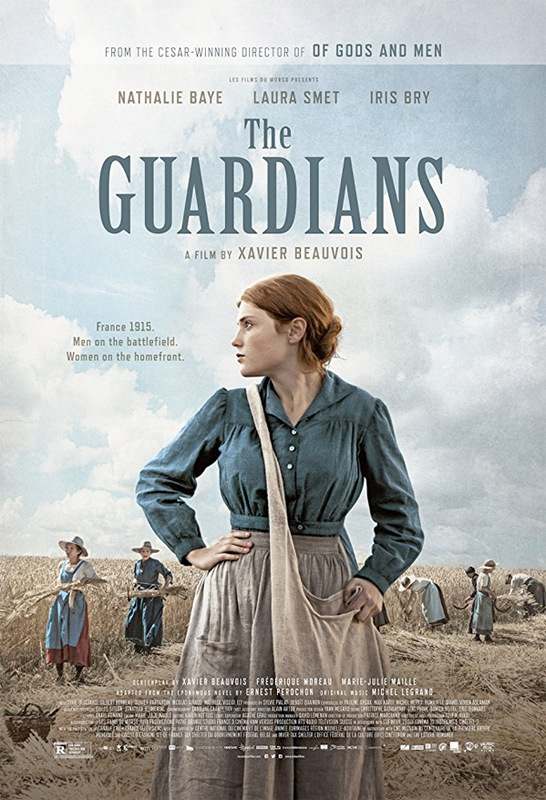 The Guardians, originally titled Les gardiennes in French, is directed by the award-winning French actor/filmmaker Xavier Beauvois, director of the films North, Don't Forget You're Going to Die, To Matthieu, The Young Lieutenant, Of Gods and Men, and The Price of Fame previously. The screenplay is written by Xavier Beauvois, Marie-Julie Maille, Frédérique Moreau, adapted from Ernest Pérochon's novel of the same name. This first premiered at the Toronto and London Film Festivals last year. Music Box will release Beauvois' The Guardians in select US theaters starting on May 4th this summer. Who's interested?